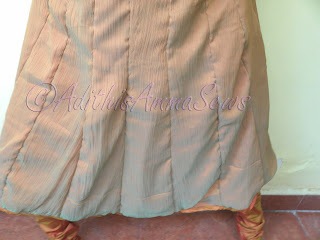 Adithis Amma Sews - Cute Confessions of a Sew Addict: Anarkali Kameez - First Look! 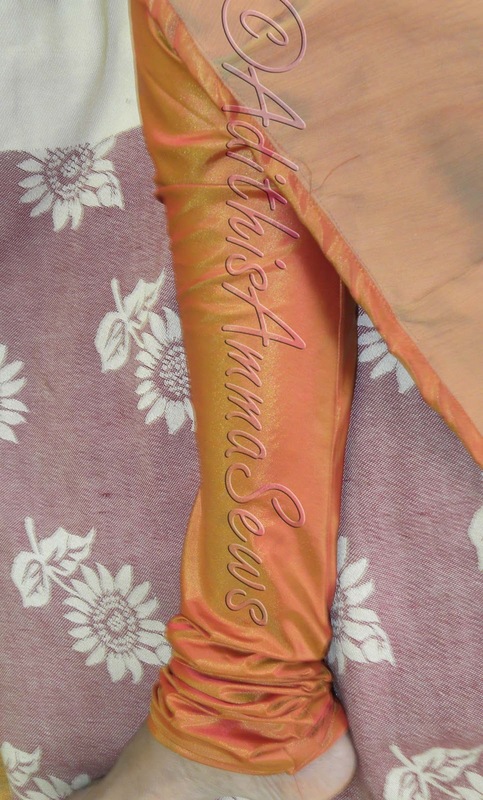 Anarkali Kameez - First Look! Anarkali kameez - Front View! Anarkali Kameez is finally ready and has already been flaunted at a wedding by my Sister. This dress has been in the making for long now and decided to finish it yesterday. Skirt part of the kameez has panels a.k.a. 'Kali'. 10 each at front & back. This has been paired with a brand new churidhaar... i just love the churidhaar material, i thought it would be difficult to work with initially, but it was such a darling to sew and more comfy to wear as per my sis's words. It fits her and she is happy with the outfit, that made my day. Appreciate the time and effort that went into it.